Top Rated Chemistry Tutors in Gilbert, AZ! Welcome to Gilbert’s top-rated private chemistry in-home tutoring service! All of the following Gilbert chemistry tutors are certified by Varsity Tutors, the leading tutoring agency in the country! All Gilbert chemistry tutors have been background checked, been interviewed, had mock chemistry tutoring sessions, and been trained by professionals. 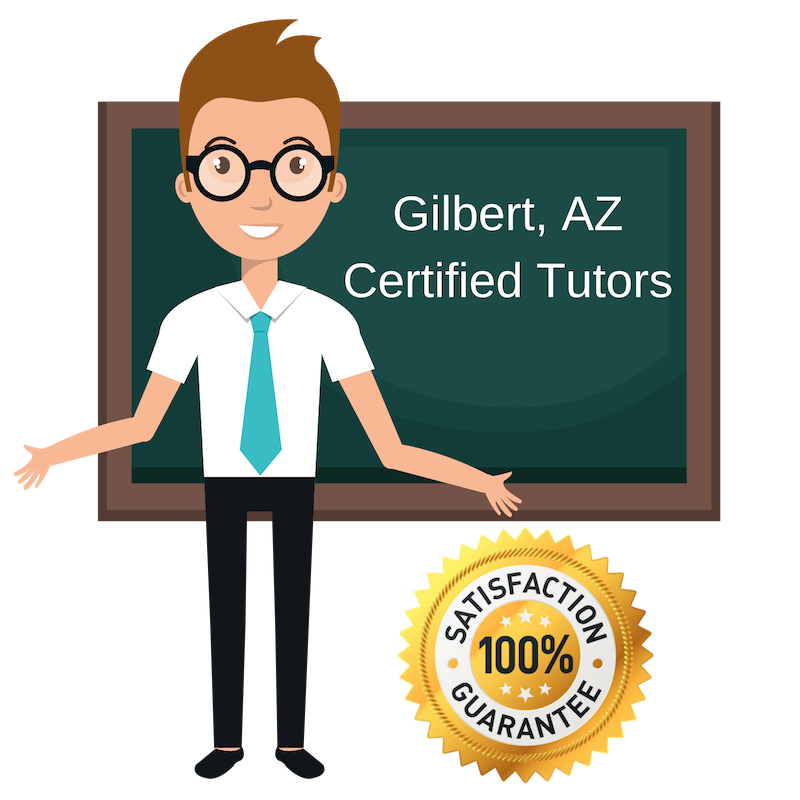 We guarantee you will love your local Gilbert chemistry tutor or your money back! Get information regarding a top-rated chemistry tutor today! Learning doesn’t have to be boring, when you understand the “why”, the “how” becomes less daunting. As a certified chemistry teacher in Gilbert, I, Linda Thomson, love inspiring other students to reach their full potential. Whether it be teaching students how to concoct the best summer drinks that their parents ever tasted or why “organic foods” aren’t always quite as organic as you would think that they are, I love seeing the looks on students’ faces when they finally see the world through more than one pair of lense. So please, if you’re struggling with chemistry, then please, don’t be afraid to give me a call and ask for help. Since I also have a math bacckground, I can also help you how to balance out equations if math related questions are what you’re struggling in. Hello, my name is Sarah Carroll. I am currently a student at Arizona State University with a double major in nursing and Spanish and I each high school Chemistry in Gilbert. Being a student myself I understand the challenges that learning can present. Whether it be biology or Spanish, I am willing to provide students the necessary tools and resources in order to help them overcome their academic challenges. So if your student is struggling in chemistry and needs help either writing reports in Spanish or solving math-based chemistry problems, then by all means, please do not hesitate to reach out to me. I can even teach your student how to memorize the periodic table of elements in Spanish. Hello, I’m Laura Wojtulewicz. As a chemistry tutor in Gilbert, I strive to not only learn something new every day but to teach someone else something new every day. Whether it’s helping students understand which “all-natural chemicals” are great for concocting the perfect chicken coconut curry or how atoms work, I strive to help my students learn and understand the material while they teach me something about the world in their own special way. Learning is a lifelong experience and education is an invaluable asset. I am honored to be given the opportunity to teach you something new today. Hello, my name is Jinpyo Seo. I teach chemistry in and outside of Gilbert. I also currently study at the University of Arizona. Ever since high school, I have always been a diligent student. Although I was never the smartest student in the class, I was nevertheless the most hard-working. Teachers have always intrigued me in different ways and at different levels. As a youngster, I have thought that teachers are genius men and women who have been sent from the sky to bestow knowledge. As I matured, I questioned why they would take a job with such low pay. But after I spent time carefully teaching other kids, I realize that it’s not for everyone. But if it is for one, then it is a valuable and life-changing experience to give knowledge and make a “student.” I have been blessed to learn this fact and would like to pursue this position as a tutor and perhaps a future teacher. In regards to tutoring, I have spent half of my high school years tutoring other kids. I was a tutor for the STEM subjects during lunch time and I have spent some time as a professional tutor for students outside of school. Teaching is a valuable experience that taught me as much as I have taught my students; I have learned that people are given different talents and me, as a tutor can be there to help cultivate the students’ strengths and weaknesses. By the way, if your student is interested, I can teach your student a Korean way of memorizing Periodic Table elements. It’s quite interesting. Hello, my name is Samantha Brown. I teach chemistry in Gilbert and I have a passion for learning and connecting students in need. As of now, I am finishing up my last two classes at GCU to receive my Bachelors of Science degree in Finance and Economics. However, never fear, I will still be here, helping your student(s) understand everything there is to know about the wonderful world of chemistry and finance. By the way, if your child ever gets a chance, I would highly encourage him or her to take a class in molecular biology while in college. It’s very life-changing.